As website designers and SEO consultants, we’ve been dedicated to helping businesses grow by creating websites that turn visitors into customers for over 6 years. We’ve learned what search engine optimization tactics are necessary to get your website ranked on page one. Moving your site up in the ranking takes time, and Google changes what they’re looking for regularly, so while no one can promise number one ranking, you can expect significant improvements. We build organic SEO over time to provide results you can measure. Our search engine optimization strategies use a layered approach that, when put together, will move your site up in Google’s search results. Things you might not even realize could be hurting your site, like missing pages, orphan pages, or a slider that slows down your site. These are all part of our technical SEO process. We develop all of our website using WordPress, the most popular Content Management System in use today. 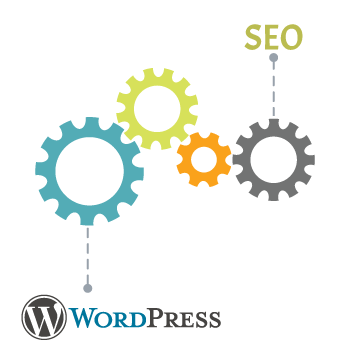 One of the reasons why WordPress is so popular is its Search Engine Optimization (SEO) features. Right out of the gate, WordPress is designed for sites to be easily found by providing a way to add all of the information search engines are looking for right on each page. Another boost: search engines rank sites based on speed, and WordPress is fast, especially if you use a solid theme, like Genesis, well coded plugins, and a managed host like Flywheel. Finally, websites with fresh content are rewarded with higher spots in search results and WordPress makes adding new content a cinch. As SEO Consultants, we know that keyword research and planning is required before you start writing content. Knowing the keywords you want to target is the first step to ranking high. We'll get together and talk over your business to figure out the right ones to include on your website. We can edit your existing content, or we can have content written by an SEO copywriter using the focus keywords we decide on. There are many other things you can do to improve your site's visibility, like making sure your local listings are all complete and optimized, and getting links to your site from other places online. Social media activity is also an indicator to Google of your site's popularity, so being an active participant in those channels can make a difference in your search ranking. SEO isn’t something that can be done in a vacuum. We want to create a partnership that will combine our SEO knowledge and experience, with your specific business expertise, that will propel your website into an information powerhouse that potential customers can’t ignore. Ready to give your website a boost with SEO Services?